OAXACA, MEXICO: Page three of images from southern Mexico (3/15 to 3/29) with Jim Brighton, Colleen Meny, and Becky Larson. Last updated: 4/7/2008. 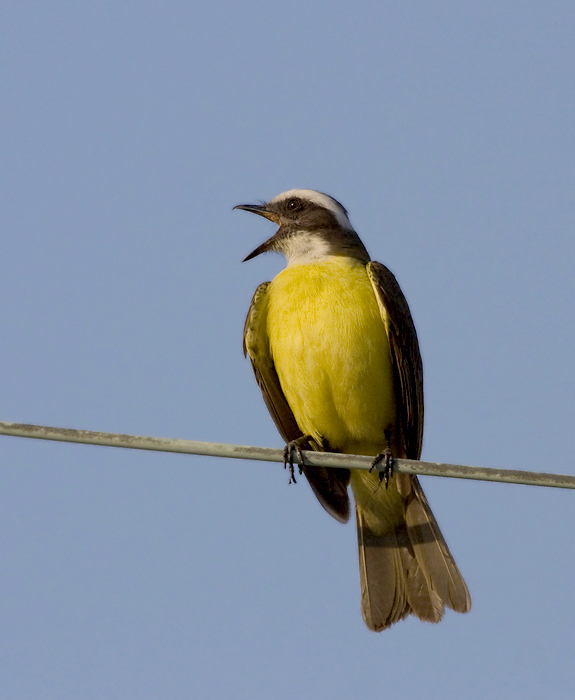 Above: A Social Flycatcher chatters its raucous, parakeet-like calls in the small town of San Pedro Ixcatlan (3/2008). My thanks to Colleen for alerting me to this particularly cooperative fellow. 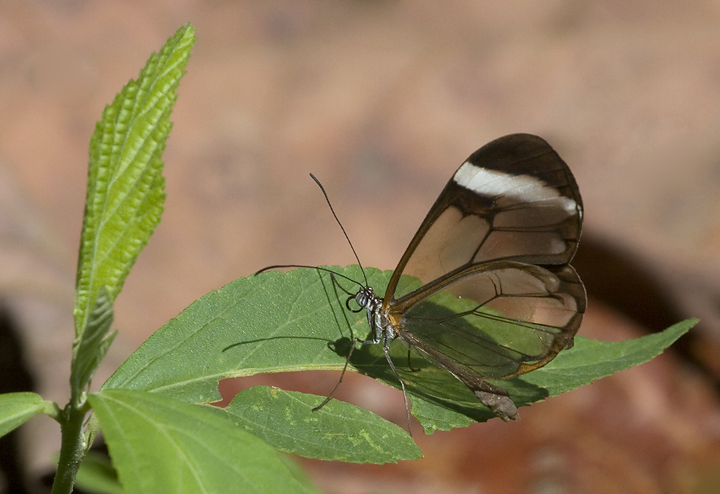 Below: Clearwing Butterflies are the showstoppers of the Lepidoptera world--almost too cool to believe. 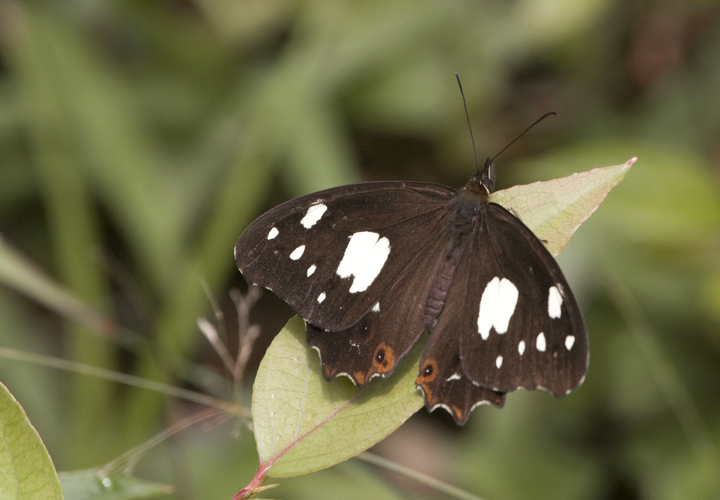 This beauty found us in the cloud forest above Valle Nacional. 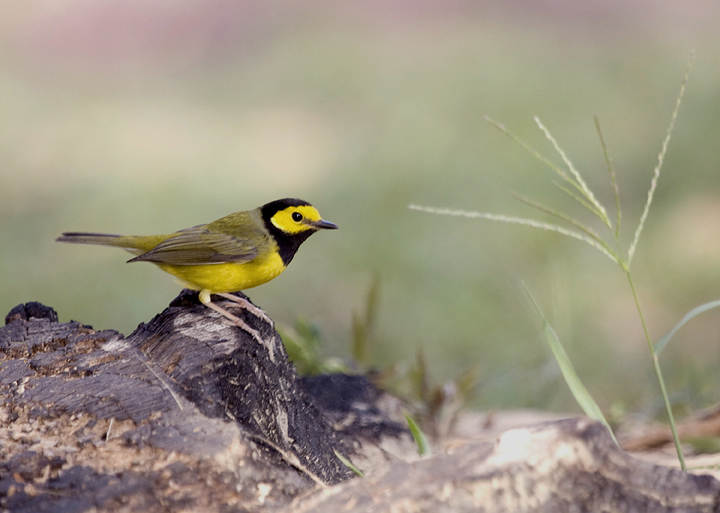 Below: A beautiful male Hooded Warbler hunts insects along the Rio Papaloapan near Valle Nacional (3/2008). 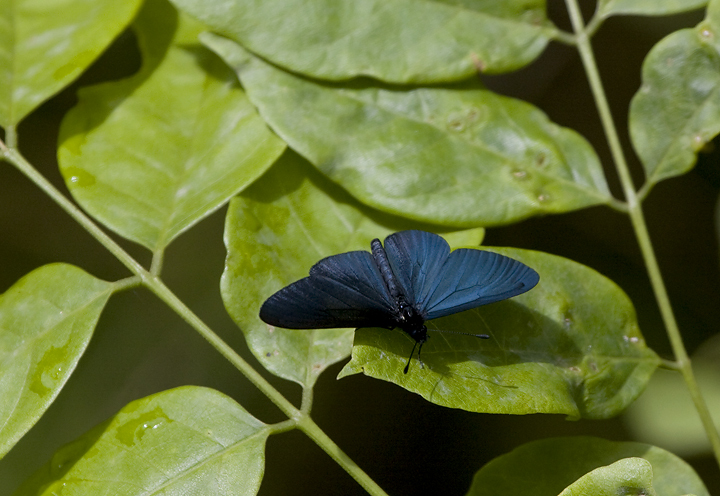 Below: One of many stunning butterflies found in the cloud forest above Valle Nacional (3/2008). 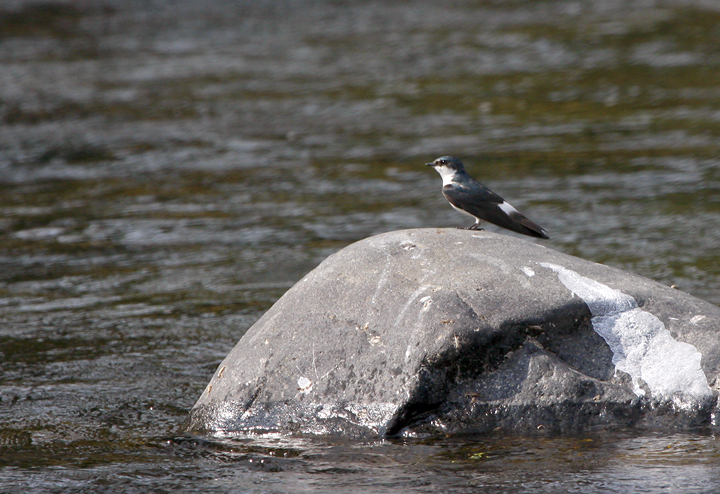 Below: We enjoyed watching Mangrove Swallows hunt over the Rio Papaloapan near Valle Nacional (3/2008). 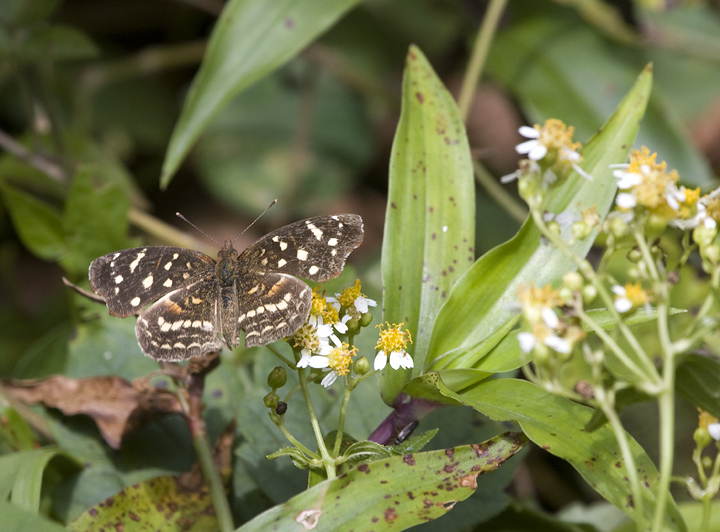 Below: Yet another butterfly steals our attention away from the area's avifauna, this one near Amatlan, Veracruz (3/2008). 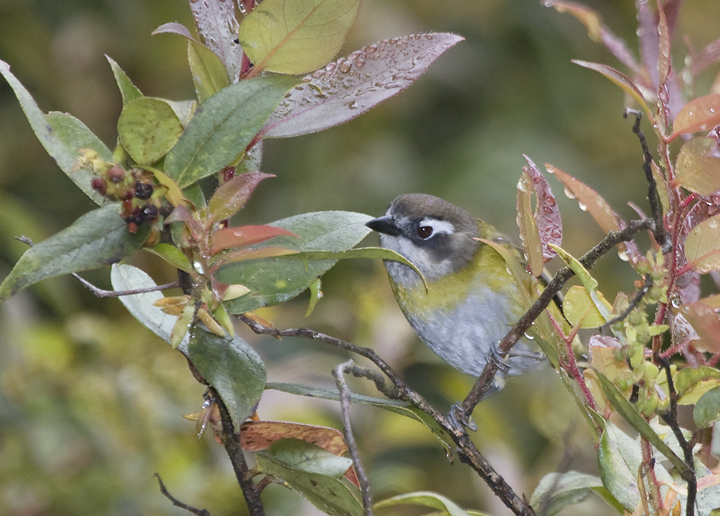 Below: A Common Bush-Tanager in the cloud forest above Valle Nacional (3/2008). 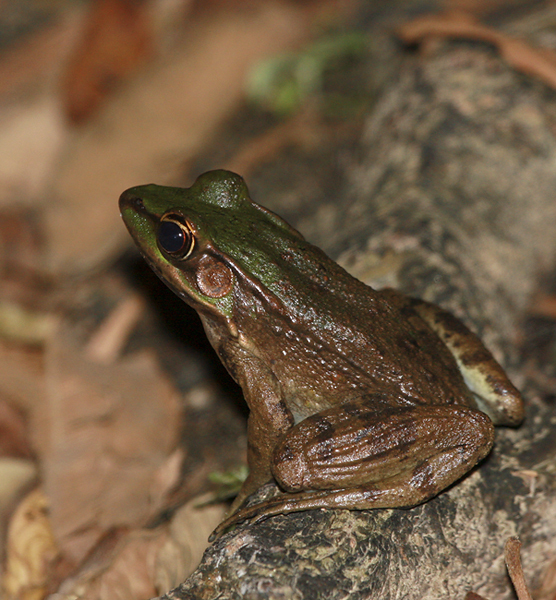 Below: This Rana frog species was more difficult to photograph than the Rio Papaloapan's abundant Marine Toads (3/2008). 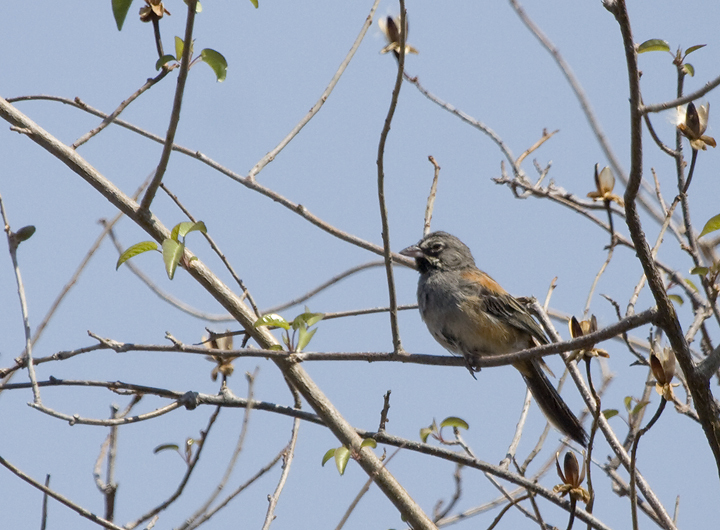 Below: A flock of Bridled Sparrows was an excellent surprise at a roadside stop north of Ciudad Oaxaca (3/2008). 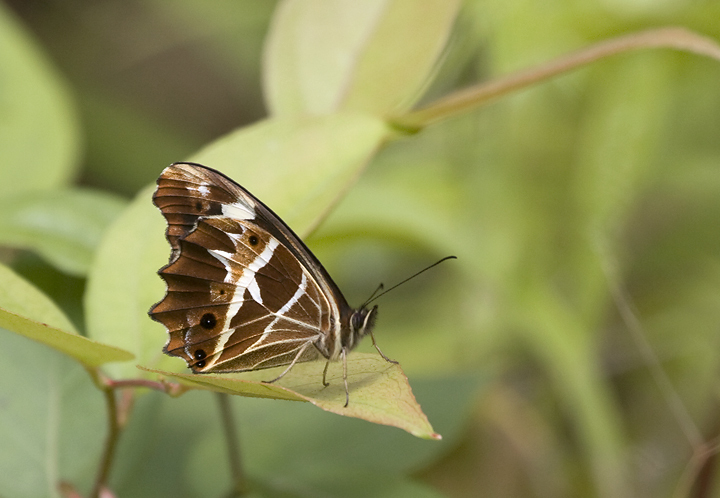 Below: Another great butterfly photographed near Valle Nacional (3/2008). 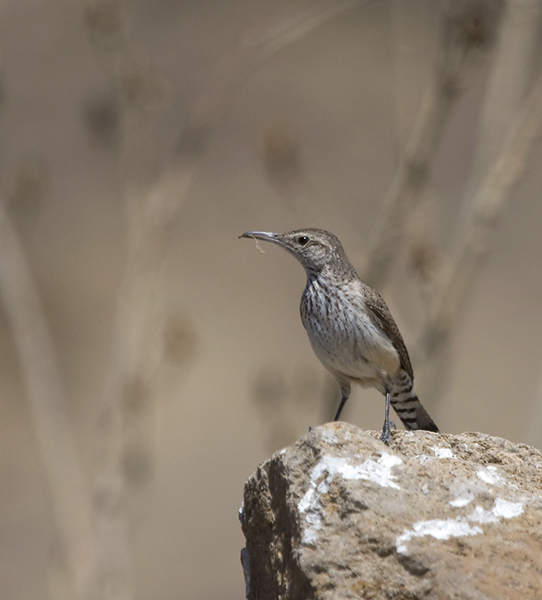 Below: A Rock Wren with what appears to be a bit of nesting material near Teotitlan de Valle, Oaxaca (3/2008). 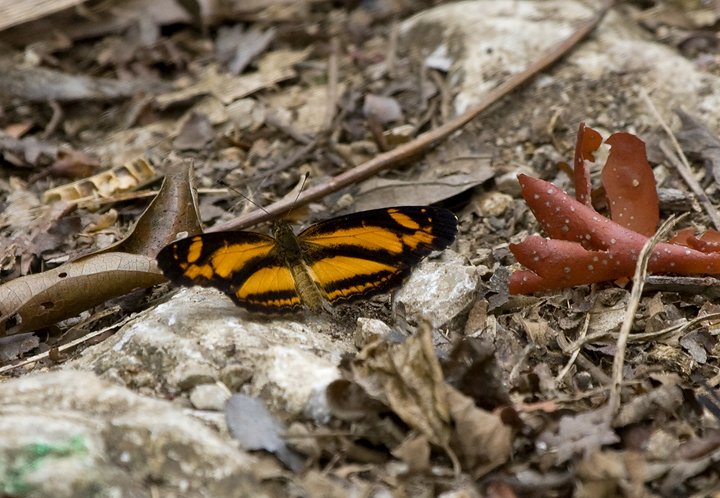 Below: Another butterfly photographed near Valle Nacional, Oaxaca (3/2008). 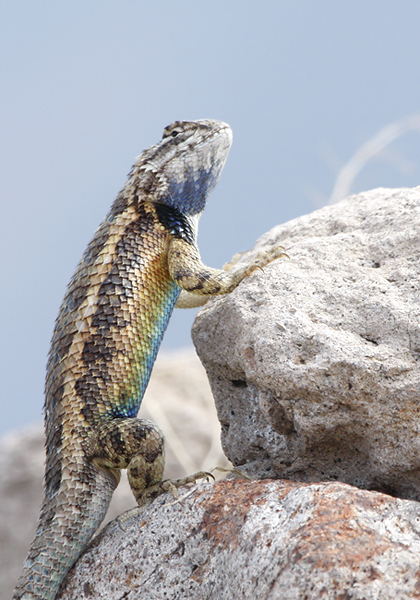 Below: Spotting this impressive lizard was a highlight of our visit to the ruins of Mitla (3/2008). 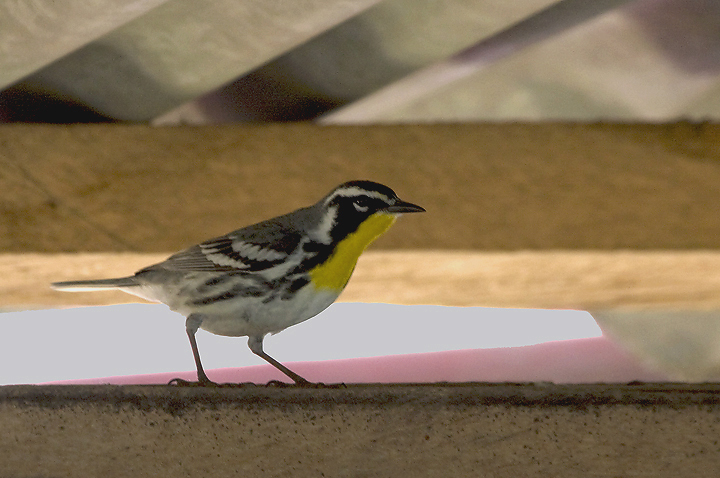 Below: This Yellow-throated Warbler was a very lucky find at a reservoir-side restaurant west of Tuxtepec. 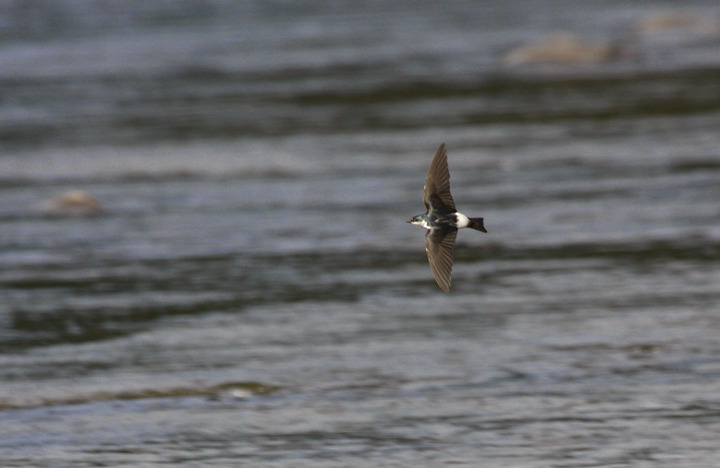 During the heat of the afternoon, it joined us in the shade and snatched a couple insects before continuing on its way. We were enjoying a lunch of the area's specialty bass (mojara) and wielding our best bad Spanish to discuss birds with the local fisherman. 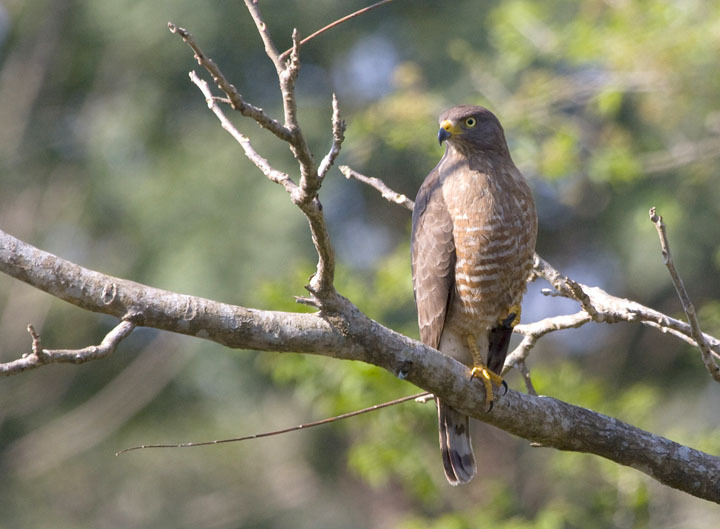 We started by putting a Black-bellied Whistling-Duck in the scope, and our friend "Loco Memo" exclaimed, "Ahh, Bibichi!," and then whistled its call perfectly. 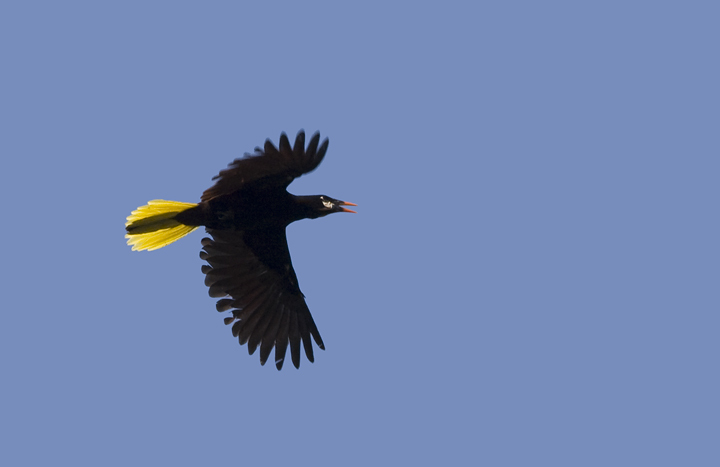 Below: A Montezuma Oropendola, one of my favorite birds, in flight west of Tuxtepec (3/2008). 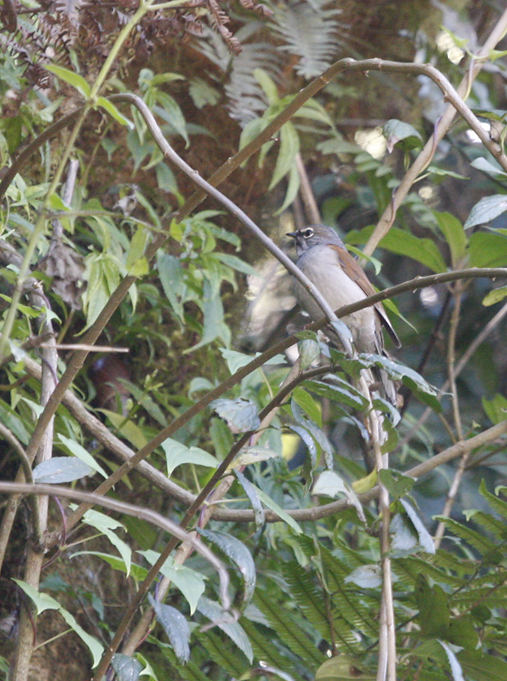 Below: Despite much enjoyment of the Brown-backed Solitaire's impressive song, we had precious few glimpses of the species (3/2008). 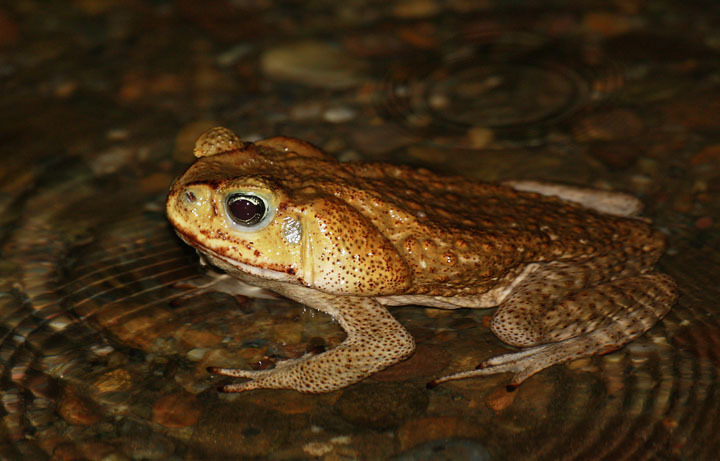 Below: A huge Marine Toad (also known as Cane Toad or Giant Toad) along the Rio Papaloapan near Valle Nacional (3/2008). 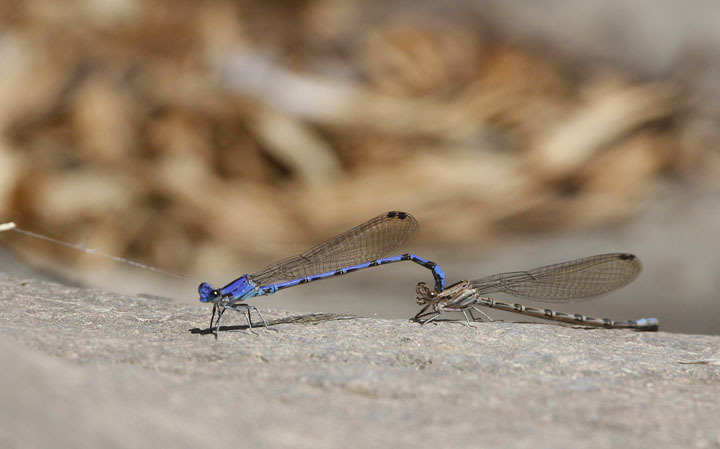 Below: A pair of damselflies in wheel near Oaxaca (3/2008). 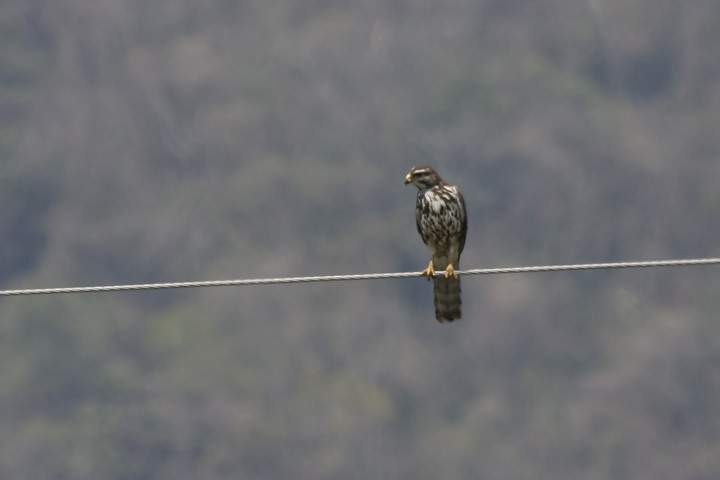 Below: An immature Gray Hawk west of Oaxaca (3/2008). 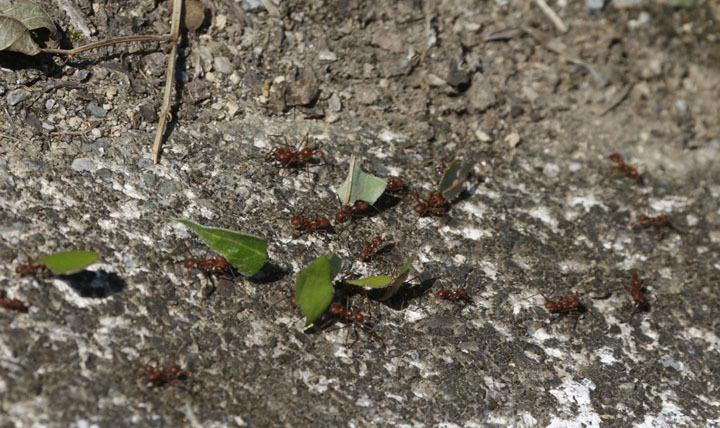 Below: It's always a treat getting to watch Leaf-cutter Ants at work (3/2008). 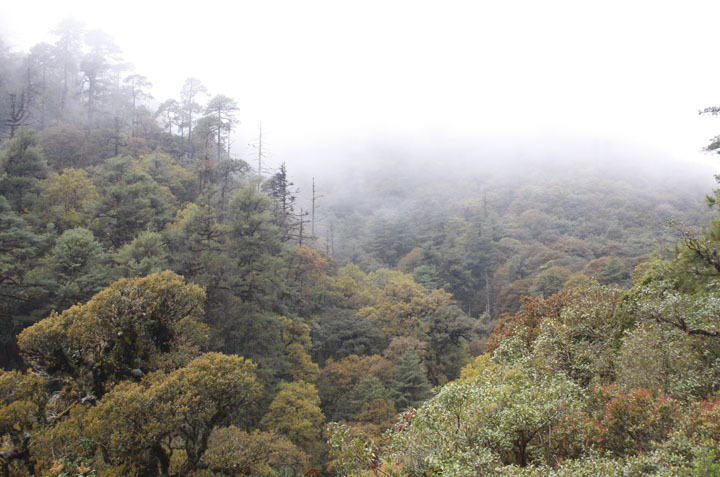 Below: Landscapes such as this one near Tuxtepec are home to many higher-elevation specialties such as Unicolored Jay. 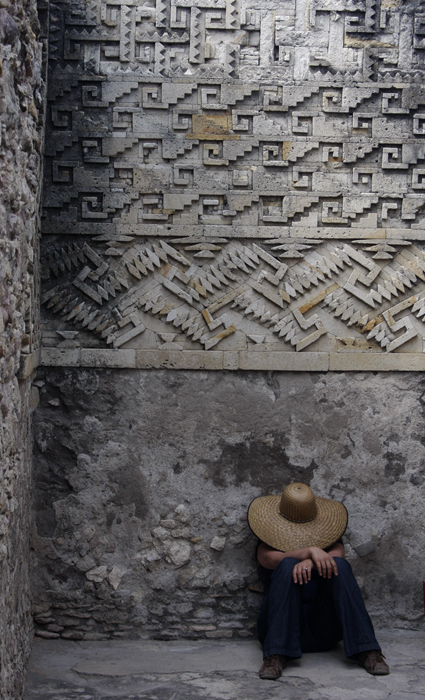 Below: I've received many requests for photos of my fiancée Becky, so here is a shot of her at the ruins of Mitla, Oaxaca.